It is difficult to explain this even to myself. A wave of emotion overcomes me upon admiring this beautiful picture by Chad Santos of the Valley of Mexico. Burdened with euphoria and bliss, I am surprised to deeply feel and validate a truth that’s lived inside of me for such a long time, a faithful companion in all of my journeys in the past four years. In my frantic desire to be within and be surrounded by this city, I realize that although physical proximity is and will always be a priority for me when in comes to DF, what I have deeply yearned for is to absorb as much of its essence in order to mold my spirit and being after the beauty of its vastness and its absolute singularity. A mujer in love with a city. Dozens, hundreds, thousands of people in love with Mexico City. Out of so many of us, constantly growing and multiplying, sharing and encouraging, I wonder how many love it so deeply and so differently as to want to imbue their life and their being with some of its best, most spiritual, most haunting and thus most human qualities. I find myself contemplating how many of us begin to think and feel that this overwhelming love is the beginning of a process of root shaking growth, of emotional and spiritual cultivation. I entertain this new revelation: I love Mexico City in order to become more like it. To imbue each detail, each part, each morsel of my days with the qualities and characteristics that have irremediably enamored me. Its restless nature. The love and warmth of its public space. The millions of opportunities to share a smile, a drink, a poem, a sunset with absolute strangers. The sonorously rich cadence of twenty-seven million people rising with the sun and moving through the entirety of its surface, swarming in beautiful choreography of the every day bustle both above and below its concrete lake bed. The opportunity to share anything and everything with it and with its inhabitants, relishing it all in the solace and solidarity of solitude. The scenes, the films, the music, the sunrise, the Sunday strolls, the Saturday café con leche y chocolate croissants, the freedom inspired while on the brink of a kiss, on the brink of a taxi collision. The marvelous of the everyday, the quotidian of the surreal. The fluidity of life within chaos, hope comforted by unpredictability, resting and growing within the unfamiliar, expansion of the self and of the spirit within endlessness. All of this has inspired me to write profusely and ceaselessly. It has inspired fleeting and soul-searing love affairs. It has inspired my activism, my journalism, my voice, my political and spiritual commitments and expressions. It has inspired such a shift in my cosmovisión that not one thing I do upon rising and upon laying to rest has remained unaffected by my connection to it. It has inspired such profound irreparable change. An unleashing of an incessant river within me, that nourishes my spirit and sprouts the creative projects that serve as ode and poetry to its inexhaustible capacity to inspire this sort of love in us. What I carry with me, what nourishes me on my journey that is this life, is the affirmation that I am as great and expansive as that city. Of looking within and seeing a reflection of that which I love without measure. A reminder to live and love in homage to this gift: I am serendipity. I am unpredictability. I am vast. I am endless. I am alive. After traveling home through a daze of side-eyed glances and murmuring strangers casting shadows under neon street signs, I collapse exhausted onto my bed. Intoxicated off a seemingly endless weekend of living. Hallucinating on the thrill of traveling within and beyond the city limits. 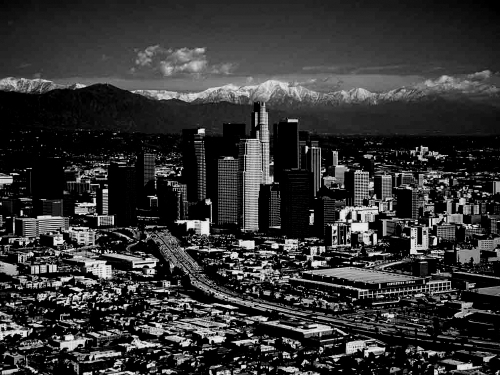 A city that’s my home, that I know, that I have tried to flee and fight a millions times over. This physical repose allows me to become overwhelmed with the inebriation, conversation, music, faces, and sights blessed upon me by amazing company, still palpable through tact and memory. Pressed upon my whole being is an affirmation that I am, and have always been meant to be, an unceasing traveler of and for life. For four days, I shared life with a kindred traveler spirit first befriended in Mexico City, and with new and old friends. For four days, we abandoned all will to excess and serendipity. Propelled by the energy of the collective wanderlust of our borderless party crew, I partied the way I have rolled around and danced in dozens of dance floors in Mexico City. I voyaged through streets so intimately familiar to me with luggage the way I walked through the cobblestone streets of Oaxaca, Mexico for the first time. And from high above, I overlooked the limitless horizon of a city, stretching in every possible direction, a vision so new yet so familiar to one discerned from the balcony of the Torre Latino in DF. Yet this inspiration that permeates my spirit with bliss feels like the result of all my travels and experiences concentrated into a mere weekend. As if the overwhelming happiness I experience is the sum of hundreds of days of travel, of four years packed into four days in Los Angeles. Because while these moments transport me to a different physical and temporal terrain, I feel newly aquatinted with the beauty that resides in the familiar and the possibility present in the everyday. Through celebrating with friends who also yearn for art, love, and punk rock midnight living, I learned about how thrilling it is to travel even when home, even when neither there nor then. But in the living, breathing, exhilarating moment. The abyss of nocturnal revelry and the luminosity of daybreak peering through windowsills reminded me that it’s possible to feel the intoxication inspired by traveling anywhere and everywhere. As the clock relentlessly winds and begins again, inspired by the sun and moon’s cyclical voyage across the city’s sky, people move through this city often overlooking opportunities to connect with and contemplate each other and their surroundings. To do so is to miss the opportunity to peer into worlds that affirm our connection to far away places while also helping to deepen our connection with the place that physically sustains us, the concrete urban incubator of the mundane and intoxicating existence of our everyday lives. This is a lesson and a truth unbeknown to thousands of people too afraid to share a conversation with a pensive Kenyan smoking on the steps of the Los Angeles Public Library. Of lying on the grass following the trail of a hummingbird that flutters through swaying branches of the jacaranda tree. Of sneaking up high-rise lofts to discern the waning sun reflected on the diaphanous and translucent arrangement of rising structures and deepening human silence. During these last few days, I felt incredibly overwhelmed with the certainty and gratitude of fully and wildly living in the present and expansive city of LA. It’s as if in living intensely, I was finally able to travel enough to connect to hundreds of places, sensations, perspectives, simultaneously. In my search and hunger to travel, travel as a place to get to, I had never offered myself the opportunity to occupy and live within that journey. To feel it permeating my skin, in the surf and garage punk tunes rousing a dance floor, in the collective satisfaction of living. Arriving to the all too familiar place, neighborhood, home, bed, I am physically and spiritually reeling with the highness of living and traveling. Meditating on the assertion that all of us are capable of perpetually exploring and navigating both new and old terrain in search of wisdom and stimulation of the senses, mind, body, and spirit. To travel, in the measure that it transports us to our past, is to step forward stringing along each sight and person that has inspired wonder, searching and accepting this in every place. And as I write, and as this dazed and delirious feeling leaves my body, left in its place is this lesson on travel and place. Something I have searched for yet is what the city now whispers and what its denizens struggle to keep silent. The affirmation flows through my bedroom window. The hum of human activity and wind blowing through the tree branches kindles what’s born within all of us. The certainty that life, expressed in our perpetual travels, is not a destination but an unceasing journey, that deepens, extends, animates and awakens. In Mexico City, everything is performative. The dress of denizens reflect social positioning, sub-culture loyalty, political affiliations and both economic privilege and injustice. The majority of Mexican people, like individuals and entire communities globally, use clothing to express themselves – fresas flock to the gigantic malls of the city that house transnational clothing chains like Zara and Bershka, rockeros punkeros and goths do their shopping on Saturday mornings at El Chopo tianguis, and autonomous and revolutionary minded students and people opt to thrift, recycle and trade clothing in direct resistance to the mass spending that characterizes Mexico’s consumer habits. But there are also people who are not given this option of personal and social expression through dress: a large population of Mexico City lives in severe poverty, surviving off the pocket change of the millions of transients that pass them by on Metro station entrances, intersections of major avenues, and important pedestrian streets in the city’s center. Meanwhile many people live without the choice nor the ability of economic consumption, their presence is an important part of Mexico City’s collective identity. It is a city of contradictions, where abundance and scarcity live in the same neighborhood, walk the same streets, and struggle to make themselves seen, heard, and noticed. 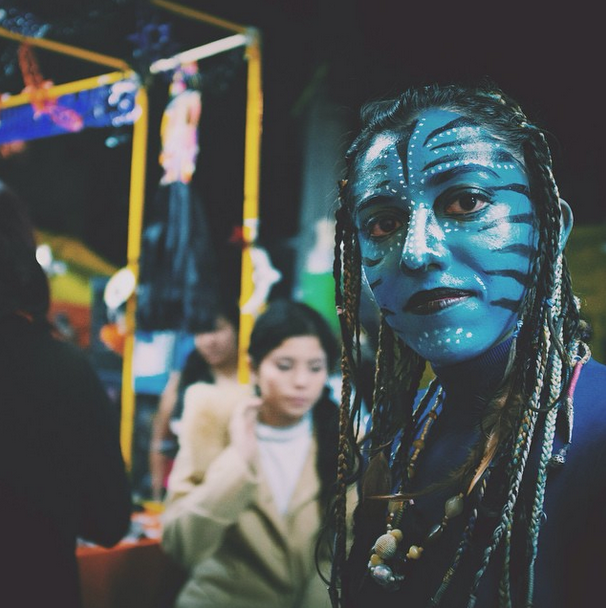 Performativity encompasses not only dress, but many aspects of cultural expression such as language, social relationships and especially in Mexico City, corruption. Just like people work on sidewalks to gather change, many police officers, underpaid and unscrupulous, often ask for mordidas or pay-offs from young folks caught drinking out in public, from motorists accused of traffic violations and from unsuspecting denizens identified as srewable. This performance is intimidating as they menace people with arrest and if you’re a foreigner, deportation. Witnessing the performativity of corruption and poverty of Mexico’s police force is not cool at all, trust me. Yet for me, the most aesthetically pleasing and insightful example of urban performativity in Mexico City remain to be the hundreds of street performers, mimes and movie characters brought to life on weekends in el Centro Historico. Panhandling is turned into a ritual that involves entire families and public life in the city and is a view into this society’s perpetual hunger for constant entertainment, a direct result of unceasing consumption of television and mass media. 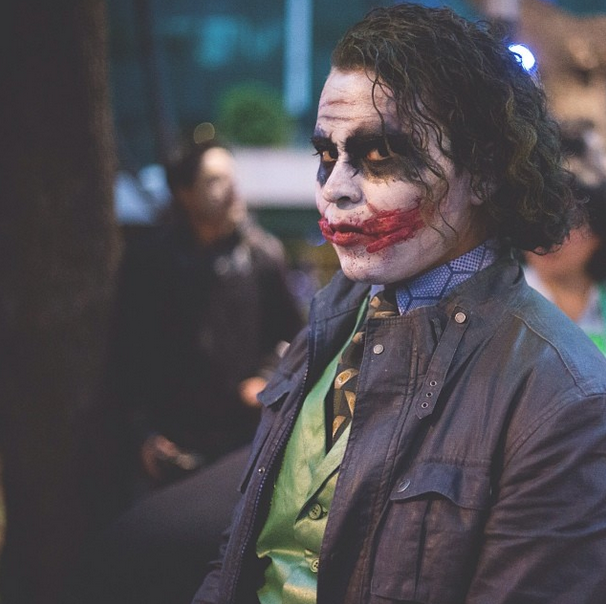 The pictures that follow, taken by the talented photographer and chronicler of Mexico City, Chad Santos, illustrate the faces that both symbolize necessity and epitomize the happiness of many of the city’s children: the Joker, Neyteri, the Rocker, el Payaso, y la Catrina. The Joker, impeccably cynical, attracts both young and adult boys alike. The eery shadows and contrasts between grey, blue and black hues of the growing night in El Centro frame his stage: limitless urban space. The research, time and artistry of DF’s public and street side celebrities represents the DIY attitude that characterizes DF living. Yet there is something deeply beautiful about it all, the crafting of the faces of Mexico City, los rostros de la ciudad, adapting and transforming them, the limitless possibility of becoming something and someone else. Their faces, perfectly crafted and painted, pay homage to contemporary norteamericano culture, a lo Chilango. But it seems that even street performers themselves are capable of believing that they can become these idols. 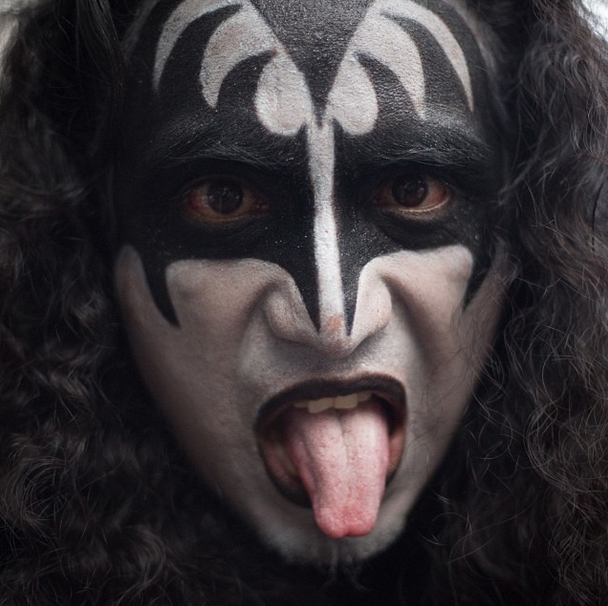 For minutes, hours and entire evenings, he is Gene Simmons. 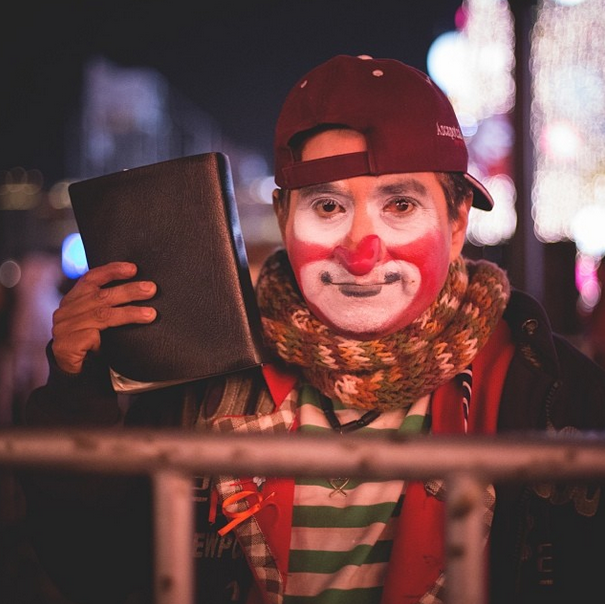 Los payasos, clowns, are among the most widespread streetside musers in DF. Exhausted and often overwhelmed faces are costumed in bright colors. They share jokes in the metro, juggle on Reforma and offer balloon animals and smiles in el Centro. Happiness to momentarily lighten the ceaselessness of everyday life of an often overwhelming city. La Catrina is a quintessentially Mexican expression of beauty, immortality and pride. It is an aesthetic inspired by Posada and appropriated worldwide, especially on Nov. 2 (Día de los Muertos). 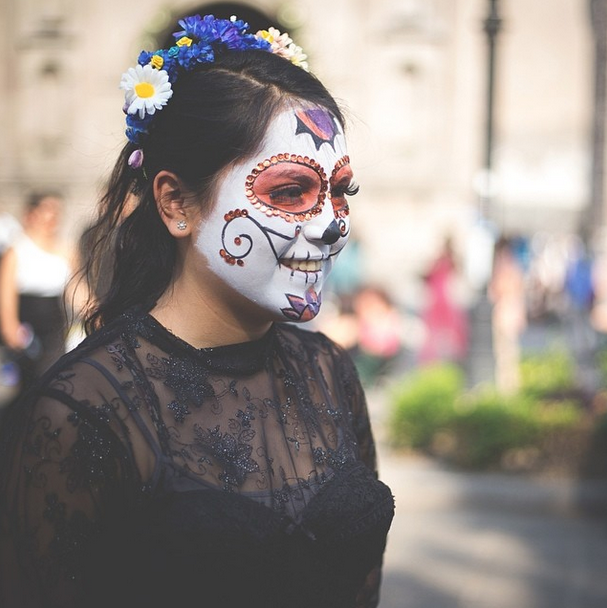 In Mexico City, children gaze upon el rostro de la catrina, an admiration and assertion that lo Mexicano, us mexicans, us too, are beautiful. Viajes y andares hace unos ayeres. Playa Santa Maria En Los Cabos, BCS. Viajando de aquí a la felicidad es una travesía que abarca toda una vida, años de vida, miles de vidas. En este viaje que experimentamos un sin fin de estaciones y pesares. Cuando por primera vez me fui de mi casa, partiendo a la Universidad de California de Santa Cruz, un total de 515 kilómetros de distancia de Los Angeles, recuerdo buscando la felicidad entre la inconformidad y tristeza. Estando tan lejos de todo lo familiar, de la música, de los abrazos y la seguridad que sentía dentro de mi nido, me sentía despojada. Recuerdo lejanamente que en una charla con nuevas amistades acertaba que buscaba la felicidad. Tranquilidad. Mi compañera de cuarto, una muchacha tierna y detallista, me regalo para esa navidad un cuadro del símbolo chino de felicidad. Mientras me pareció gracioso y un bonito detalle, de golpe obtener el cuadro me provoco a penar que en realidad uno siempre viaja acompañada con la felicidad y que solo era cuestión de descubrirla en el entorno para saber que ella te habita, que ella viaja contigo. Mientras aún guardo ese cuadro preciado como recordatorio, desde es primer viaje ha habido momentos en que he perdido trazo de ella, tanto en mis viajes y retornos como reposo y contemplación. Pues algo muy curioso ha sucedido en los últimos tres años: he ubicado gran parte de mi felicidad en un lugar tanto mágico como trágico. La Ciudad de México para mi habita todas mis inquietudes, anhelos, deseos. Es un amor que ha producido tan grado de inquietud que cada unx de mis amigxs, compañerxs y familiares pueden atestiguar el trastorno que me ocasiona. Cuando no estoy en la ciudad me siento incompleta, triste, y durante el primer año, deprimida. Siempre he reconocido que ubico mi felicidad en este lugar y como resultado he menospreciado lugares, sentires y amores ajenos a ella. Mientras amo, profundo y completamente a ciudades como Los Ángeles, he sentido una conexión tremenda con esta ciudad y este país. Estos últimos años me han permitido explorar este amor, descubrirme, cuestionarme, desgarrar, comprender y amarme dentro de ella. Pero a medida que me he amado y alimentado de esta vida, voy descubriendo, quizá desde mis tiempos en la universidad, o quizá por la primera vez, que estas lecciones y saberes las he practicado desde que hace mucho tiempo. Que canalizo esta energía de vida y me alimento de esta felicidad. Y que estos saberes habitan todo lo que veo, interpreto, amo, contemplo. Que no se podrán despojar al menos que yo elige. Esta felicidad es transcendente, la puedo vivir y compartir en donde sea que viaje. Y me dio cuenta que este año he viajado con la felicidad. Cuando viaje a Durango con mi madre, a pesar de la tristeza de un abuelo ya envejeciendo, recuerdo contemplando la impresionante presencia de mariposas amarillas, tanto en el jardín y patio de la casa de mis abuelos como en la carretera que nos conectaba con la ciudad. Mientras bien me influye la historia de amor entre Mauricio Babilonia y Meme las he adaptado como marco de buena suerte, de aliento y felicidad. Desde que llegue a la Ciudad de México hace un mes, me he sentido con el valor de habitar esta felicidad. Me he reencontrado y conocido a personas que, en sus propios viajes, van trazando su propia odisea, no hacía, pero acompañadxs de la felicidad. Hace una semana viaje a Baja California Sur a participar en un taller de periodismo con estudiantes de la preparatoria en La Paz. Mientras fue una hermosa experiencia trabajar y aprender de lxs estudiantes fue durante nuestro viaje de San José del Cabo a la Paz que percate la presencia de mariposas amarillas durante todo el camino, asombrándome del reencuentro con mi compañera viajera. Desde el coche vislumbre una viste increíble, en donde mariposas amarillas nos acompañaban en el camino que trazábamos entre nubes púrpuras que enmarcaban montañas hermosas y verdes suspendidas sobre una infinidad de mar azul. En mis viajes no solo viajo con mi cuadrito y con las mariposas sino también con la certeza que tengo todo lo que tengo para ser feliz, para ser felicidad. Y que aquello no depende de algún lugar, ni circunstancia. Es el compromiso que pacto conmigo misma que dentro de todo lo que yo hago, todo lo que yo vivo, todo lo que contemple, puedo, y encontraré, la felicidad. Guerra es cuando tu gobierno te dice quién es el enemigo. Revolución es cuando te das cuenta para ti mismo. Ya basta México, NO te quedes callado. ¿No te da pena que nosotros dos estudiantes de 15 años tengamos más huevos que tu para alzar la voz? Por que en estos tiempos es más peligroso ser estudiante que delincuente. Ya basta Mexicano, NO te quedes callado. War is when the government tells you who the enemy is. Revolution is when you realize this for your self. 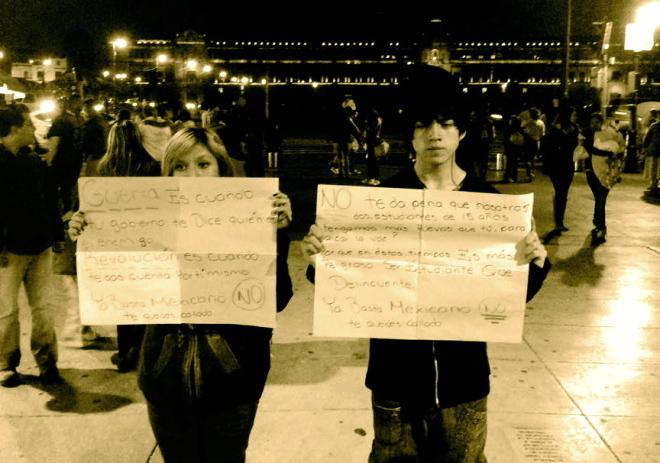 Enough Mexico, DO NOT remain silent. Does it not embarrass you that as two fifteen year old students, we show more bravery than you in making our voices heard? In these times it is more dangerous to be a student than it is to be a criminal. Enough Mexico, DO NOT remain silent. In this city, I fully and deeply exercise my emotions on a daily, even one block basis. Walking through El Centro to get to a coffee shop a few minutes ago, I made sure to walk past the Palacio Nacional to see the aftermath of the protest and civil disobedience I was able to see in the flesh last night. The graffiti is gone, the police are present, the palace stands impeccable: absence. I walk east, and all along Madero, and witness the presence of people who live hunger, necessity and poverty and beg for a few coins to feed their family: helplessness. Jazz notes flow from a sax and drum duo, and this strange and out of place sensation is born in me: joy. But then I continue to walk and find a pair of fifteen year old students, who in their thirty minute demonstration of pure and sublime resistance inspire a warm and healing feeling inside of me that nurtures me in the city and the country’s perpetually cold night: hope. I thank them, deeply, and keep on my way, rejuvenated. Peaking through the window, I searched for signs of life as we lowered deeper into the abyss of pollution and morning fog. As we penetrated what appeared to be an endless sea of grey foam, I began to discern patches of light. A million spheres of light suddenly peaked through the thick layers of pollution and I realized that the enormous slumbering creature had been tracing the trajectory of our plane as soon as we began our descent over the fringed edges of its endlessness. 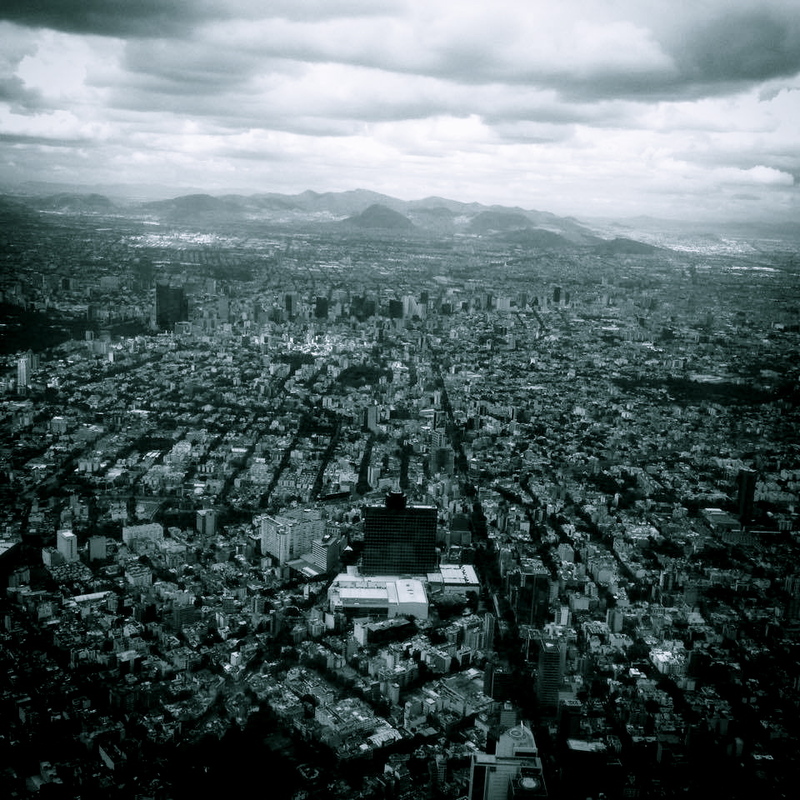 I suddenly realized Mexico City slumbered below me and my heart jumped. It was five in the morning and I had finally arrived to the city that has been my destination ever since I first arrived almost four years ago. It is precisely that moment of exaltation inspired by my palpable proximity to it that characterizes its entrancing nature. I arrived to Mexico City two days ago and I find myself adjusting to how it awakens, its palpitations, its breath, its restlessness. Returning means a natural and fluid synchronization, matching energy and breath. Regreso al monstruo, y me arrojo a su mar de luz, de caós, de vida. This is the city where I first began to appreciate solitude as a necessary fortifier of self-love. In waking all over the city, enjoying a late evening film screening, and reposing on a park bench on a Sunday evening by and with myself, I began to appreciate the importance of abounding within my own company: of enjoying my whole being within the greater scheme of existence. Through witnessing and participating in a city characterized by poverty, disparity, excess, beauty, resilience and ingenuity, I spiraled down a path of introspection and self awareness. When I began to navigate through the city I was struck with semiotic, verbal, and silent affirmations of injustice. I noticed how the hierarchy of race and class informed the ways in which people interacted and existed in the city. Indigenous and non-Spanish speaking people beg for food and work for incredibly low wages all over the city meanwhile the richest people lavished in lifestyles of excess and leisure in the secluded, almost segregated, neighborhoods. The colonias would be divided and organized among patterns of class and social positioning – walking from comfortable upper middle class living to poverty was only a matter of about six meters. Although I was familiar with racism and discrimination from within the U.S., as a person of modest and comfortable urban poverty in Los Angeles and as a brown bodied muxer, it was a different matter experiencing this in Mexico City. These silent and withdrawn observations intersected with how the urban locality interpreted and contemplated my existence. In my navigating and moving through the city, I have experienced how my own body and existence has been codified and measured according to the social codes of race and class. As a daughter of rural and poor northern Mexican roots, my skin color is the shade of what the racial and political elite consider poor, naca, chaka: a dark and luminous shade of brown. And as soon as I broke the corporal silence muted by my skin shade, something interesting would happen: my Spanish oscillated between the perfect chilango spanish and my English that of the “typical American” accent. I was stuck between literally being too brown to be a U.S. citizen and possessed too strange of an accent to be an authentic Mexican. Yet my social positioning as a student and my economic comfort of being what some may consider middle class in Mexico allowed me to lavish and enjoy the privileges of a comfortable apartment, a university education, and many nights out on the town. This first year in Mexico City proved to be a challenge of my well established understanding of myself, of the existence I had worked hard to reconcile over the expanse of 21 years. As a womxn of color with migrant histories and completely conscious to the injustice and oppression imposed on my communities in the U.S. as a student and activist, living in Mexico I was challenged and questioned for my assertiveness and self-love. I learned to see myself in a different light and in a different context, and I learned to deeply value and appreciate the reflection I discerned as a testament of my own history and my belonging to greater and more vast history of migration, of resistence, and of love. It is thus that through the experiences of living and interacting with the city and the people who inhabit it that I learned that people also navigated and struggle with social, cultural, racial and economic codes and barriers like people do in the U.S.. Racism and classism is very present in the national subconscious and is seen plastered throughout the city in advertisements, nightlife social dynamics, street side encounters, and public transportation systems. Yet discerning the ways in which the lack of self-love and the imposition of self loathing are as violent in Mexico as they are in the rest of the world, is a lesson still remains with me to this day. Although it was painful and challenging, I was able to understand who I was in the slightly greater scheme of things, being flexible with that understanding, while retaining my lived experiences as markers of my history and everything that those symbolize. It is the deep meditation of interacting with people, being a silent spectator and participant in the public life of the city, and being a lover and friend that have taught me to love and be who I am and am meant to be. Because I have also met many people and forged both romantic and amicable relationships. Meanwhile many of these I have been able to keep and nurture others have fallen victims of the circumstance of distance and time. Meanwhile my past and my memory and my present self will always be informed because of them, I am still able to discern Mexico City as the city that taught me to love. Mexico City is the city that taught me to love myself. That in light of so much existence and so much excess, I was able to become more intimate with myself: with what angered me, with what inspired me, with what filled me with so much energy for life. This is what has thus inspired my journey to find the words to communicate the anger, the inspiration, and the love. As I write, I prepare myself to return to the city in a few weeks. And as I conjure memories of my favorite streets smells and tastes, a love and excitement bursts within me. It feels as if I am returning to an old friend, returning to someone who has seen me grow and has seen me change. It is the city that taught me to listen to my deepest and most forgotten desires, to contemplate who I am within the endless and expansive and throbbing existence that is life, and has taught me to love and appreciate my place within it. It is the city that taught me to become the poet I was always meant to be.